Between med-room and the point of care, nurses are faced with numerous distractions. There are simply too many obstacles preventing clinicians from accessing medication fast and efficiently administering to their patients. These barriers don’t just slow down the process, they open the door for misplaced medication, increased costs, mis-medicating, and over complicating standard regulatory requirements. This infographic explains the value and importance of safe and effective medication delivery. It also illustrates the stages of the medication administration process. 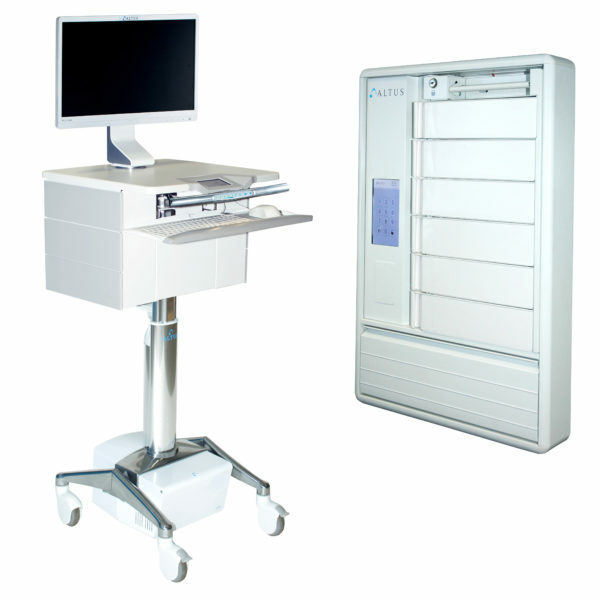 Altus provides workstations and healthcare technology to help streamline the entire process. for clinicians based on their personal preferences. Its software provides a real-time view of who has accessed and changed out bins, and when it occurred. Download the RediMed brochure. ClioMed provides unsurpassed security, intuitive design, audit tracking, and individual locking drawers. Download the ClioMed brochure.